For many years, architects have been using traditional methods to update or present information to their clients, these include 2D plan drawings, models and even site visits where needed. However, one of the software giants, Autodesk, have decided that it is now time to move with the technology; full 3D models are coming, created with Autodesk software and compatible with the Microsoft HoloLens augmented reality tech. There are a number of developers currently working on this type of application, something that allows for 3D modelling and integration with augmented or virtual reality technology (AR & VR). For those that are unsure, augmented reality blends real world with virtual; in the example of architecture, a building could be modelled and then blended with a real world landscape and environment. Of course, it isn’t quite that simple (yet), but it’s happening. With the use of a smart phone or tablet, users of Augment can upload designs to their device and blend them with pictures of the actual site or just the traditional style images (usually renderings) of a site. The software brings them both to life, creating a half real and half virtual picture. Better than that, users will actually be able to inspect the project, in full 360-degree clarity. Many of the people involved in designing shoes, houses, or art works are still more comfortable working with physical substances, such a clay or paper, and less familiar with using technical computer software. This is where VR can help bridge the gap. Using a VR headset and controllers makes the design process feel more hands on, more instinctive. Rather than using a mouse pointer and selecting commands from a menu, you can stretch, or pull, or cut, whatever’s in front of you intuitively, much as you would in real life. The rise of a new type of content creation tool, one that deliberately seeks to digitally emulate how artists and designers create in the physical world, has been underway for some time. Google’s Tilt Brush app for the HTC Vive allows both professional and amateur artist to paint in 3D space inside a VR world, using a variety of different brushes. Gravity Sketch is 3D content creation software geared towards efficient, intuitive creation of symmetric geometry, great for creating quick, 3D printable sketches. And tools designed specifically for animators, like ANIMVR™ allow users to draw in VR, providing a set of tools based on concepts used in traditional animation. Today, this technology might still seem a little awkward – you still have to use headsets and controllers for example. But we’re just at the beginning. New technology like haptic gloves, which the user could wear and actually feel the modelling clay in their hands as they shape it, will make the experience feel more immersive, more real than ever before. So what needs to change for this tech to become the go-to for content creation? The move makes Amazon the latest big tech company to jump on the AR and VR bandwagon, joining Apple, Google, Facebook, Microsoft, and others that have already introduced various tools for developers—and, in some cases, headsets, too—in hopes of capitalizing on these nascent technologies. Think about last year’s craze, Pokemon, a game on a phone. It helped introduce the concept of merging real-life maps and information with things that don’t exist in our real space. AR is now opening up the entire field of GIS to people who might not be keen on geography or mapping. I think 3D, AR and VR are the next big thing in the GIS industry. Take for example, a project led by the Fraunhofer Institute that Esri Deutschland GmbH is engaged in called Morgenstadt — City of the Future. The project uses 3D technology and VR to work on predicting, developing and implementing innovations for tomorrow’s cities. Esri technology is being used to generate 3D urban models, a key planning tool for towns and cities, which can be used in conjunction with AR and VR to make the planning process more transparent. Simulations of the spread of noise/pollutants or of areas exposed to the sun or in the shade help workable, sustainable decisions to be reached. Using these models along with AR and VR opens up the innovative involvement of city dwellers and creates a real-time experience. For people to adopt the technology you need to have that 6DOF (6 degrees of freedom) and feel completely immersed, it needs to be practical and useful, and it needs to be in a form factor similar to glasses/spectacles. We’re still a few years away from this. 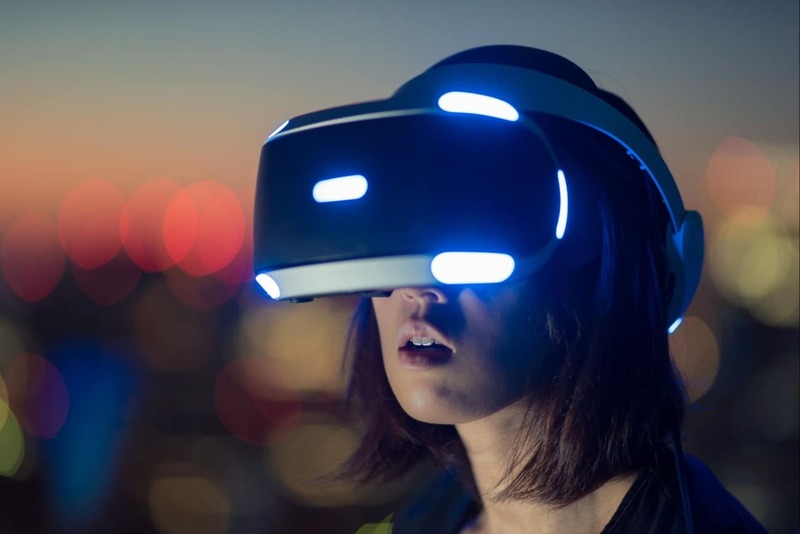 VR/AR will need to intersect more with the internet of things, AI, machine learning, and 5G to make it something we will use as frequently as our smartphones and laptops. We know that this technology isn’t hype right now, but it’s well on its way to becoming the next wave of computing. The key is not to rush the technology, we need to collaborate and try to move the industry along rather than keeping it to ourselves. That’s been the driving force behind why the VR/AR Association exists and why we want to continue to help those entering the industry and those that are already building the future. 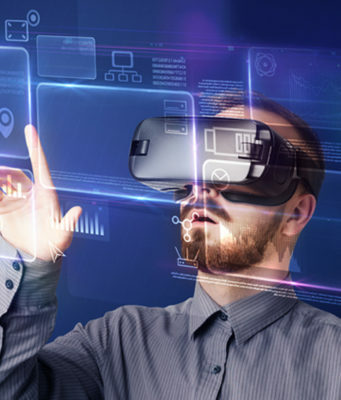 Real estate professionals are successfully using VR to help their clients not only envision, but digitally tour homes and properties from anywhere in the world by simply wearing a VR headset and entering a lifelike simulation of that property. VR allows the prospective buyer or developer to experience walking through a home without actually being on site. Some applications even support modifications to the VR environment such as opening doors, exploring property amenities, and rearranging furniture, all with the simple hand or finger motions. Augmented reality is being used by real estate professionals to bring traditional, flat print materials such as blueprints and photos to life right in front of the consumer. For example, by using AR technology, a real estate professional can pop up a lifelike 3D model of a home that is completely interactive. The model is much like a hologram, but a client can modify features of the home such as paint color and try out different pieces of furniture, to scale, in the digital home replica.